Made from Cured Chinese Bamboo. 3 octave range usually. A440 HX tuning. The bamboo keys out in D or E Flat Minor. 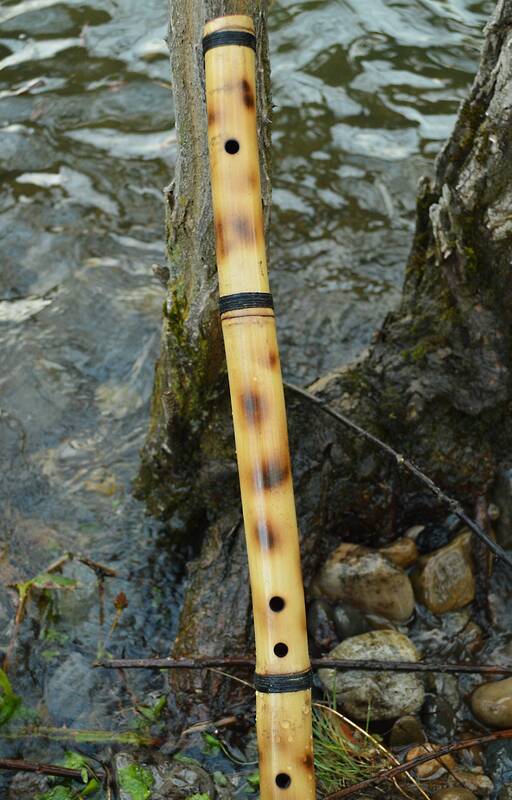 This flute features 5 holes with a thumb hole like an Oriental flute though tuned with an Egyptian style tuning that you would hear on a middle eastern Ney flute. 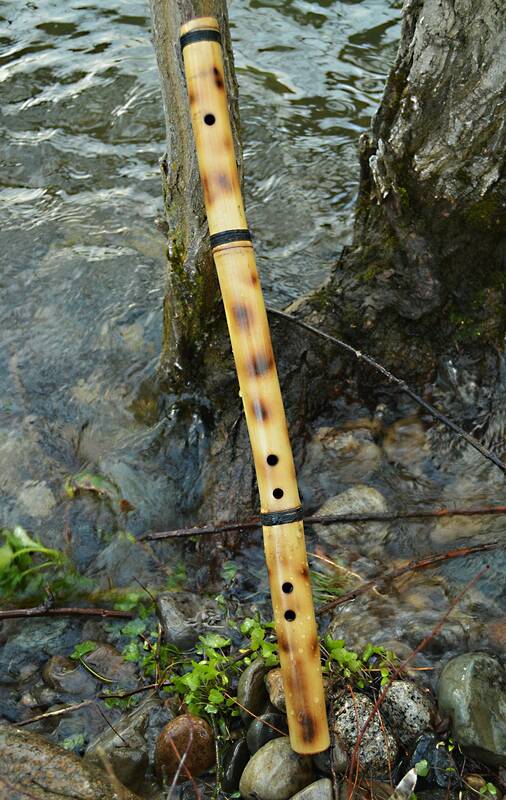 Exotic and far eastern healing sounding meditation flute. a nice gloss finish is added after the washing out process. Easy to play with mystical Eastern sounds! 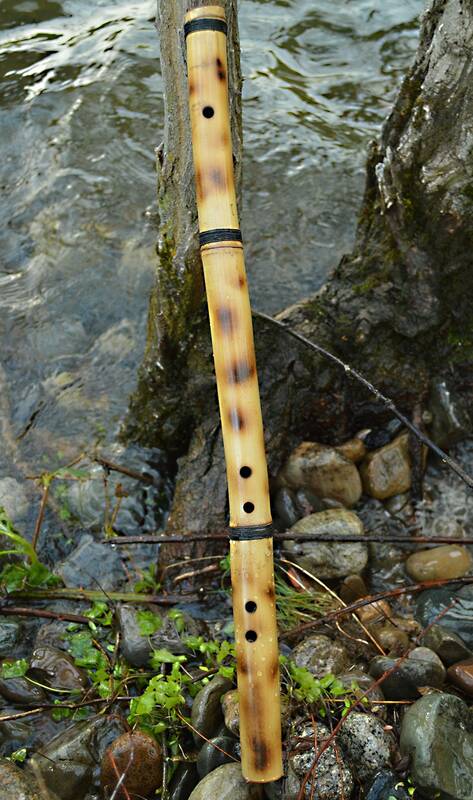 If you want Ney like sounds in a side blown flute, this bamboo flute is it!